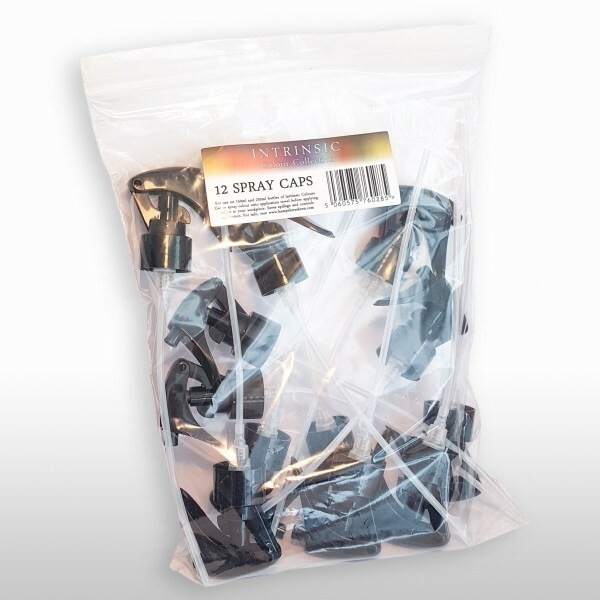 Product information "12 set spray tops"
Sorry but UK delivery only. Reduce spillages of your Intrinsic Colours with these handy spray caps. The caps fit both – the 250ml individual bottles of colour, as well as the 150ml bottles in the boxed sets. Related links to "12 set spray tops"
Customer evaluation for "12 set spray tops"